Troutdale's last Bob Ross Oil Painting Class will be held Wednesday December 17th, from 5:30 - 9:00 in the evening. 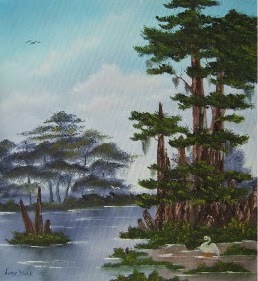 The Bob Ross Oil Painting theme for the 17th is Cypress Paradise. The Bob Ross Oil Painting Classes are provided through the City of Troutdale's Recreation Programs, Presented by Wet Paints. For information about joining the Cypress Paraidse Oil Painting class call: 503.665.5175 and enjoy the painting.